After two largely unimpressive DS games, one thing is clear: the time for experimenting is over. Expect a few surprise announcements at next month's Electronic Entertainment Expo (E3). Chief among them, a new portable Metroid. Why? Because Nintendo owes it to the fans. Metroid is somewhat of a weird franchise, particularly when it comes to handhelds. Metroid II: The Return of Samus (a game Nintendo has yet to remake or port) was released on Game Boy in 1991, and then the public waited more than ten years for the superb Metroid Fusion on Game Boy Advance, followed by the equally incredible Metroid Zero Mission. 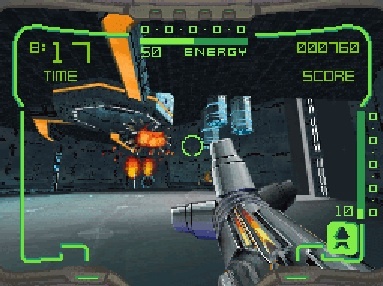 Both of those titles felt like apologies for depriving players of portable Metroid, as well as retro alternatives for those irritated by the first person adventure, Metroid Prime. If anything, we expected this trend of 2D goodness to continue on the DS. Now THIS is a great handheld Metroid game. Instead, Nintendo delivered Metroid Prime Pinball, which was more of a distraction not to be taken seriously (though the rumble pack was cool) and then Metroid Prime Hunters, a multiplayer focused first person shooter that came up short in the options department, especially the weak single player campaign. Even worse, Hunters debuted in 2006. 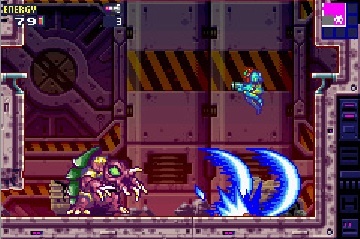 To say we're in desperate need of a new portable Metroid would be a gross Mother Brain sized understatement. Of course, with Nintendo, the gears constantly turn. The company seems to be aware of how long it's been between titles and normally delivers. It's become almost predictable, even more so in the face of mounting demand, to the point where Kid Icarus: Uprising felt willed into existence by thousands of passionate supporters. Hunters always felt like a big tease. Thing is, we're in no mood for offshoots. Don't give us Metroid Prime Pinball 2 or some whacked out puzzle game. Mario and Co. cannot satisfy us with Metroid Zero Mission and then kick the franchise into limbo. We desperately want another 2D adventure. Either that, or a true first person game with a huge and satisfying single player quest. Bring Metroid back to the center, Nintendo. E3 presents the perfect opportunity.